Sponsored New 4th Place Prize Category! Would you like to help sponsor our next challenge? Subscribe to "Doll Net® Updates!" everything important that happens on The Doll Net! The People's Choice - Based on Online Voting will be awarded for the top choice in each of the skill levels! 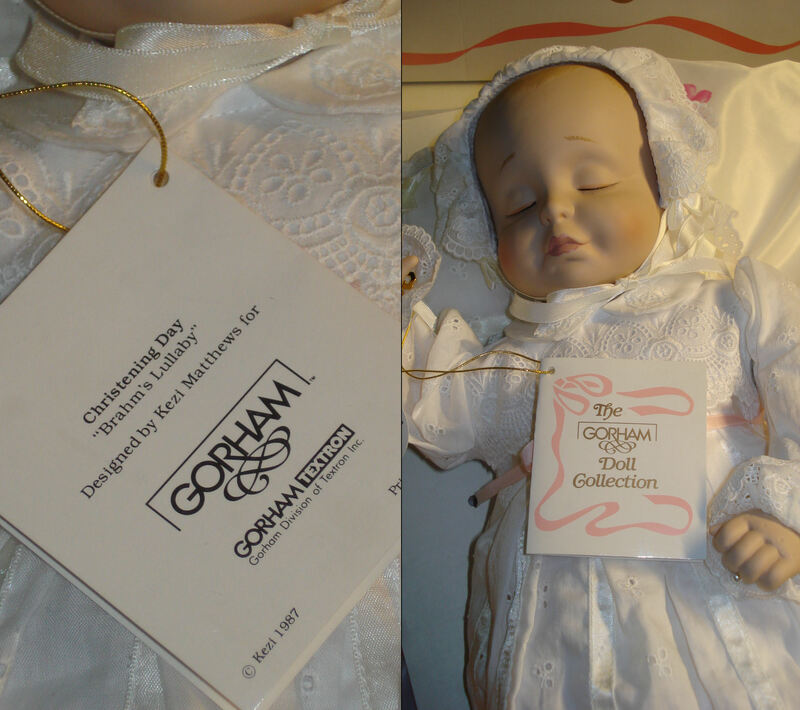 1st.. $60 Doll Net Market Gift Certificate (Click HERE to Visit Site)! 2nd.. $30 Judi's Dolls Gift Certificate (Click HERE to Visit Site). 3rd.. $20 Dollmaker's Journey Gift Certificate (Click HERE to Visit Site). 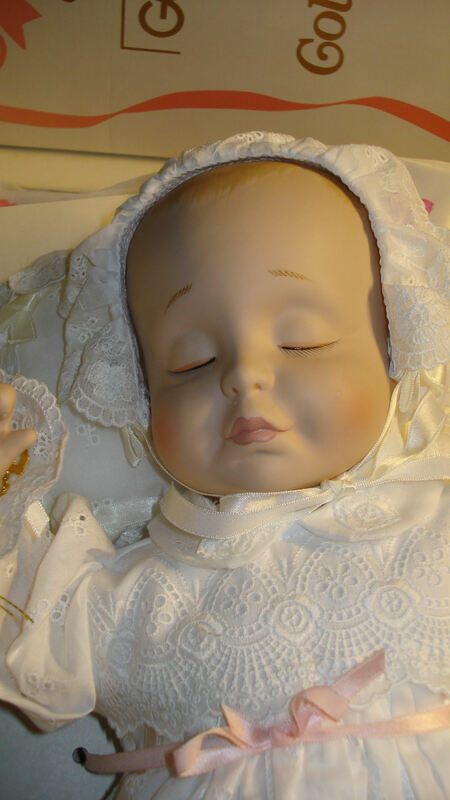 Features Online Shops, Cloth Dolls, Cloth Doll Patterns, Bulletin boards and more! Online Cloth Doll Making Classes! 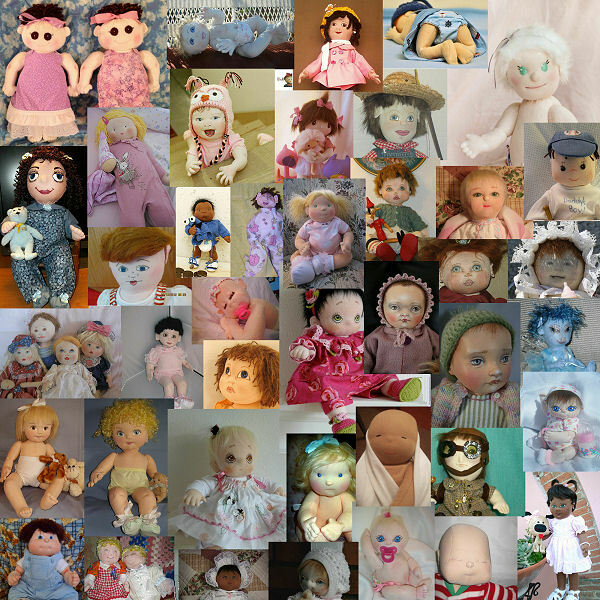 Largest Cloth Doll Club in the World! 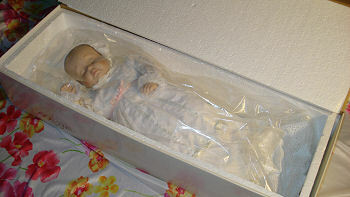 Featuring unique and innovative doll items available only to the online doll community such as cloth doll patterns (sewing patterns), mouse pads, cloth dolls, doll supplies and online cloth doll classes. Features Cloth Doll Patterns by Doll Designer Kezi Matthews! The Votes Have Been Counted! to See Winners for each Category! Intermediate Page - Click HERE! Advance Page - Click HERE! 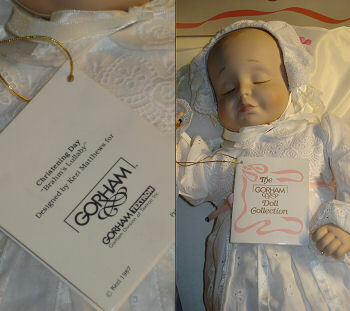 The Gorham Baby Doll Collection! Click on Pictures for Larger View! 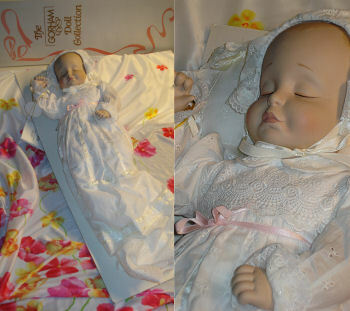 Musical Doll with a 18 Note Music Box that Plays Brahm's Lullaby. from the Doll Net's Private Collection! In Orginal Box and Packing!